January 23, 2017 2:43 pm. The Australia Stakes is a group 2 thoroughbred race over 1200m, held at Moonee Valley Race Course in Melbourne. The race is used as a lead-up to the Group 1 C.F Orr Stakes with many horses returning from lengthy spells. Recent winners include 2016 victor Holler and Black Caviar, with the great mare saluting in 2012. The race is worth $200,000 and is registered as the Wooten Stakes. 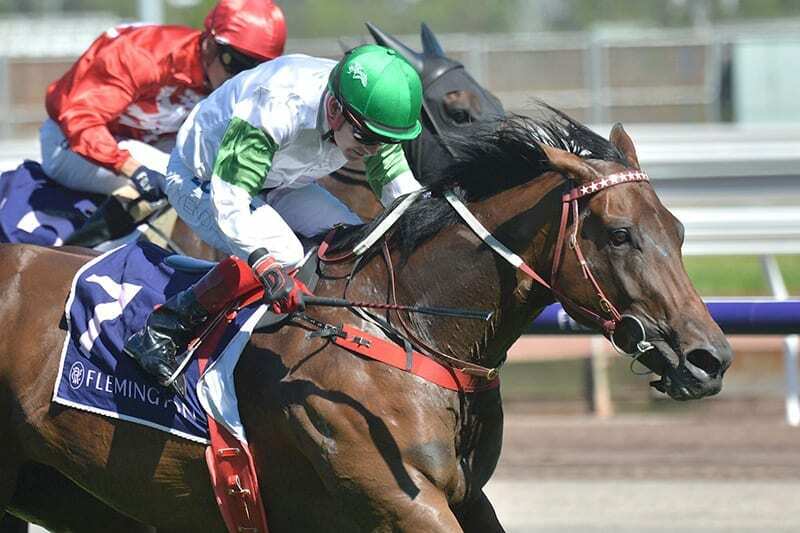 The market believes it is Darren Weir’s Australia Stakes to lose this year. Whispering Brook is the $3.80 favourite at online bookmaker Ladbrokes to win the 2019 Australia Stakes. Land Of Plenty is on the next line of betting at the $5 quote while stablemate Brave Smash has been a firmer in the market at the $6. Every decent Australian bookie will have betting on the Australia Stakes available. Many of them will open an early market so you can wager on the race a week or so in advance. Unlike many of the bigger races the acceptances are only done a few days before the race so you won’t find a market many weeks in advance. Aussie bookies like Sportsbet offer all of the usual bet types on the race and you will have the option of using ‘boosted odds’ at some of them. This simply means you place your win bet and use the boosted odds option, which could send a $10 shot out to $15. This provides great value and is as good a reason as any to bet online. 2019: Whispering Brook was a slightly easing favourite before the jump in 2019 but the favourite backers were rewarded with an absolutely stellar run. Settling just behind Fell Swoop, all Whispering Brook needed was an out, and it presented at the top of the straight. Whispering Brook sprinted away as they straightened and delivered a strong finish to claim the Group 2 title. 2018: Thronum came into the small 2018 Australia Stakes field as somewhat of an outsider at the $6.50 quote, but the front-running Lindsay Park runner didn’t let backers down. Bouncing out to an early lead the galloper kicked away on the turn under a sensationally rated ride by Mark Zahra. The competitors couldn’t make up the gap and Thronum got the prize. 2017: Malaguerra ($4.20) proved too strong for a star studded field, winning the race in the equal quickest time ever recorded over 1200m at Moonee Valley. Trainer Peter Gelagotis said he was confident heading into the race after the horse showed marked improvement in the paddock. Black Heart Bart ($2.30) finished second, while $28 longshot Sirbible finished further back in third after leading the field for most of the race. Read full report. 2016: Holler, the precociously talented two year old, proved he would be a force in open age class with a brilliant victory. With Craig Williams onboard, Holler sat outside of Sirbible and approached the lead at the 600m mark. Williams drew the whip around the turn and charged home, staying strongly, to defeat Churchill Dancer ($21). Holler had previously won the Group 3 Red Anchor Stakes at the same track on Cox Plate day and is a half sister to Yell, who won the Australian Stakes in 2003. 2015: Trained by Peter Gelagotis, Mourinho was a stunning victor in the 2015 running. Notably, in previous start Mourinho had struggled to settle but Vlad Duric got him out of the gates perfectly and settled nicely. He found a gap in the field at the 600m mark and hit the front with about 200m to go. It Is Written finished a brave second (half neck) and jockey Matthew Allen lodged a protest against Mourinho for interference, but it was dismissed. Hard Stride and Tudor made the early running but faded late. Dissident finished third before going on to win a the C.F Orr Stakes a few weeks later. 2014: Trainer Tony Vasil combined with Damien Oliver and Richie’s Vibe to win. After originally being prepared for a race in Tasmania, Vasil opted for the Australia Stakes after seeing the field were below par. With pre-race favourite Moment of Change caught wide for the bulk of the run, Richie’s Vibe charged home at $4.80 after being guided through a narrow hole in several runners. Richie’s Vibe nabbed Moment of Change ($1.90) at the line with the race run at a cracking pace. 2013: Sea Lord proved too strong in the 2013 running for trainer Stephen Brown. Luke Currie got Sealord out of the gates well and settled in a prominent position. This forced pace maker Undeniably to race hard to maintain a lead. The son of Street Cry slipped clear rounding the home turn while pre-race favourite Pinwheel found some legs late but was too far back to do any real damage, finishing second, while South Australian runner Outlandish Lad almost completed a last to second mission, but fell narrowly short. 2012: The great Black Caviar was just too strong for a small field, with many horses opting out of facing the Peter Moody-trained mare. She sat nicely midfield for the bulk of the run before easing away to win by over three lengths. This was Black Caviar’s 17th consecutive win and proved to Moody that Black Caviar was fit and good enough to win the Queen Elizabeth Stakes in the UK later in the year. Luke Nolen rode Black Caviar while Zedi Knight fought on strongly for second. It was a sellout at Moonee Valley with thousands flocking in to see Black Caviar’s second Australia Stakes win, the first coming in 2010.